Some times silly things pop into my head and I have to get them out. And a Phoenix empowered Cyclops acting like a Cold War era Soviet makes me giggle. See the adventures of Cyclops and the other Phoenix Five in Avengers vs. X-Men, for sale now at Two Kings Comics. 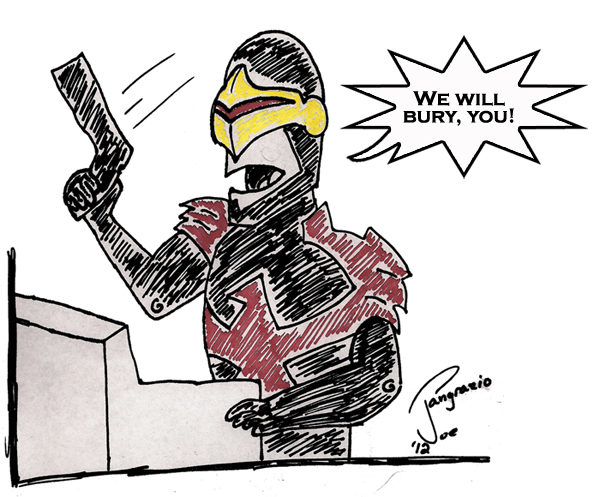 This entry was posted in CourtJester and tagged avengers vs. x-men, cyclops, phoenix five by Joe. Bookmark the permalink.